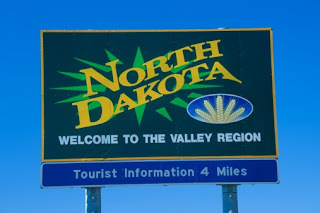 North Dakota Preps • View topic - John Hoeven in the White House as Vice President? John Hoeven in the White House as Vice President? There has been talk about ND Gov. John Hoeven as a potential running mate of Arizona Sen. John McCain! What does this mean to YOU and how would it affect ND. Please keep away from bashing other parties and/or people. Re: John Hoeven in the White House as Vice President? It's all talk. Hoeven will not be the VP in the end. Although I am a fan of his and voted for him, he will not end up being a top candidate for it. He is not as well known as some of the others such as Mitt Romney, Charlie Crist, Tim Pawlenty, and Joe Liebermann. But if he was selected I would feel honored and it would be cool to see someone from ND fill that spot, but I think it's going to come down to the first 3 I just mentioned. He needs someone that's going to help him in many areas, Hoeven would not help McCain win any key states. McCain is going to win ND anyways and someone like Romney would help with many states and Crist with hispanics and Florida. Hoeven is a closet Democrat, so I don't know how McCain could ever consider him as a running mate. scc wrote: Hoeven is a closet Democrat, so I don't know how McCain could ever consider him as a running mate. isn't McCain a closet Dem? McCain is doing "stuff" too, just that the media is in love with Obama. They cover him 3-1 as much as McCain. Well with all of the focus on President Bush these last years, really no need to report on Mcain, same stuff, different guy. Obama is going to bring a wave of change not seen before in this country, in my opinion thats something to be interested about. The Philosiphizer wrote: Well with all of the focus on President Bush these last years, really no need to report on Mcain, same stuff, different guy. Obama is going to bring a wave of change not seen before in this country, in my opinion thats something to be interested about. May I ask what change he is going to bring to this country? I keep hearing the word change but I never hear what he is gonna change. Can someone here please explain to me what it is he is gonna change? If these are the two best candidates this country can come up with, its really really sad in my opinion. Obama's tax plan will not just tax the rich it will tax everybody. With him accepting the senate's new tax plan it will raise billions on taxes and with him wanting to raise just about every tax there is from social security to capital gains to the death tax, everybody's pockets will be hurting. Is that change you can believe in? And I hate it when people say McCain is just another Bush, you obviously need to do some research on who they are, they may agree on a few position but they are different politicans with many different views. If you want to compare Bush and McCain I could just as easily compare Obama to Jimmy Carter. "Obama's tax plan will not just tax the rich it will tax everybody. With him accepting the senate's new tax plan it will raise billions on taxes and with him wanting to raise just about every tax there is from social security to capital gains to the death tax, everybody's pockets will be hurting. Is that change you can believe in?" That is a patently false statement. McCain's plan cuts taxes for everyone. Obama's plan cuts taxes for everyone below about $120k/year in income, and does it by more than McCain's plan does. He makes up the difference by a large tax increase on the highest income bracket. KyleJRM wrote: "Obama's tax plan will not just tax the rich it will tax everybody. With him accepting the senate's new tax plan it will raise billions on taxes and with him wanting to raise just about every tax there is from social security to capital gains to the death tax, everybody's pockets will be hurting. Is that change you can believe in?" In other words, it's wealth redistribution by taxation? Is anyone else scared by this? The system will not be fixed by increasing anyone's taxes. Why not cut back on wastefull spending and decrease everyone's taxes? Back to the topic, so much for Hoeven as VP. Here's CNN's take on the difference with their tax plans. NDSportsFan wrote: Here's CNN's take on the difference with their tax plans. Neither option is very rosie, is it? But, at least if everyone has more money, you stand a chance of stimulating the economy. Increasing taxes on those that can create jobs is not the answer.